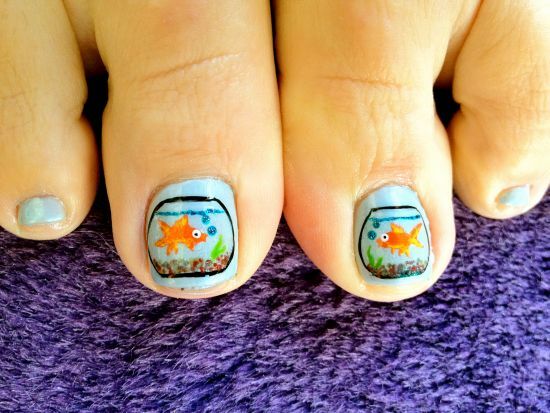 Toe nail art is one of the most fashionable trends any woman would love to follow, and Easter is one such occasion when all women folk, whether young or old like to dress up pretty and look glamorous. Easter is a time when people exchange gifts with family and friends. It is also a time to show off your fashion style among your peers. Why not dress up your nails too with some cool and creative Easter nail art as I have showcased below in today’s post? As a child, I can remember my Easter celebrations quite vividly when the whole house would be decorated using fresh flowers and we would all gather up to color hard boiled eggs in different shades. Evenings were reserved for parties when we would all deck ourselves up and flaunt the new hairstyles and dresses that were purchased over much speculation and after lot of trials! 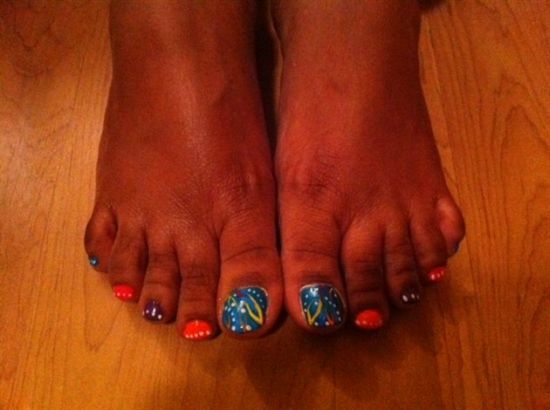 Now days, we girls have started experimenting with nails too by dressing these with glamorous toe nail art. 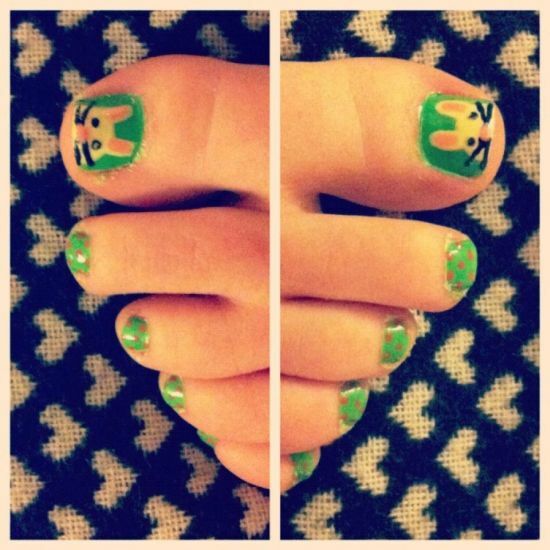 Festivals like Easter and Christmas are good times when you can deck your toes with fabulous toe nail art to gather accolades from all. 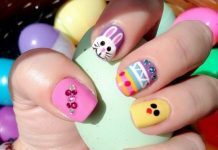 If you are a fashionista and wish to conquer the title of being crowned the ‘diva’ this Easter, you must not ignore this post that lists the top 50 Easter nail designs that are creative and would add to your style statement. 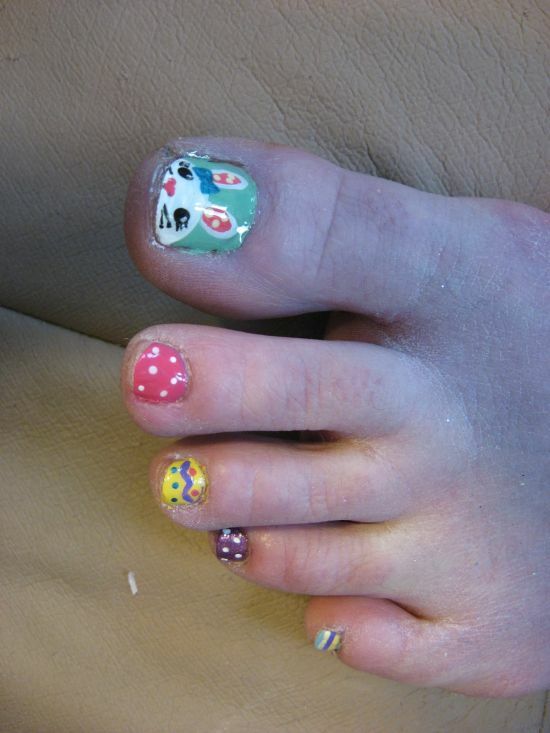 Easter nail designs are varied and one can mix and match a whole lot of designs to look festive. 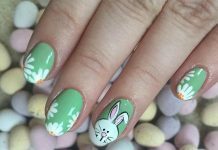 From hatching chicks to egg painted Easter nail art, there is a plethora of Easter nail art to choose. Most women this Easter are definitely going the pastel way as these sweet and tender colors actually gel very well with this festival that is synonymous with sharing and spreading good vibes. 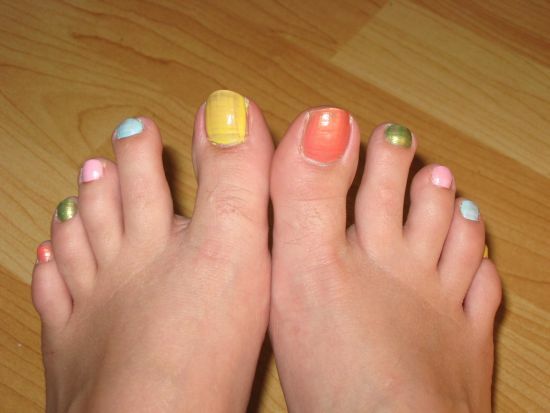 Pastels look elegant as you can spot from the images below where women have showcased their perfectly manicured toe nails with soft shades of baby pink, blue and peach. Toes, like finger nails too need to get decked up as these are the mirrors that reflect your inner personality as well as your personal hygiene. 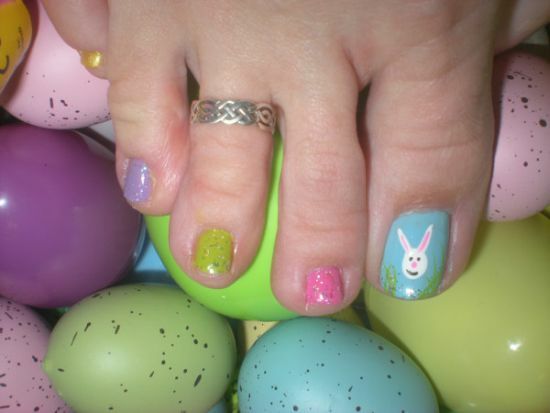 There are a number of Easter nails shown here that have used lots of vibrant colors and neon shades too to add glamor. Neon colors like electric green or yellow are quite in vogue these days like the bright shades of shimmering red and maroon. 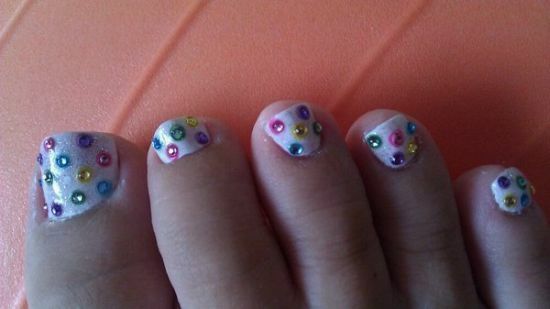 There are many variations one can do like make use of rhinestones and pearls over brightly painted toe nails. Egg patterned Easter nail designs too have a unique charm and look quite elegant. 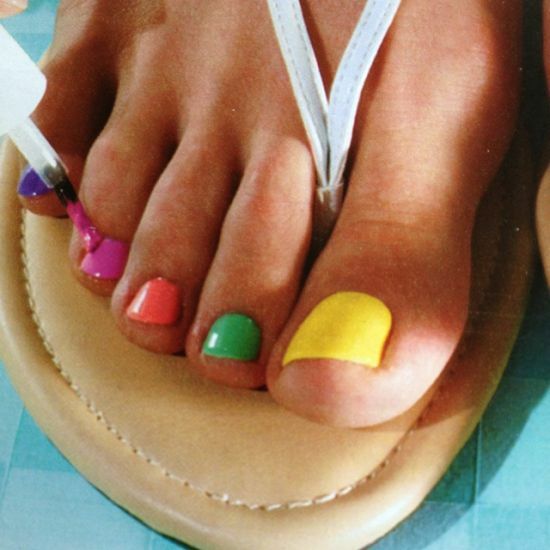 Different colors can be used for painting your Easter nails, exactly in the same way as you would paint your Easter eggs. 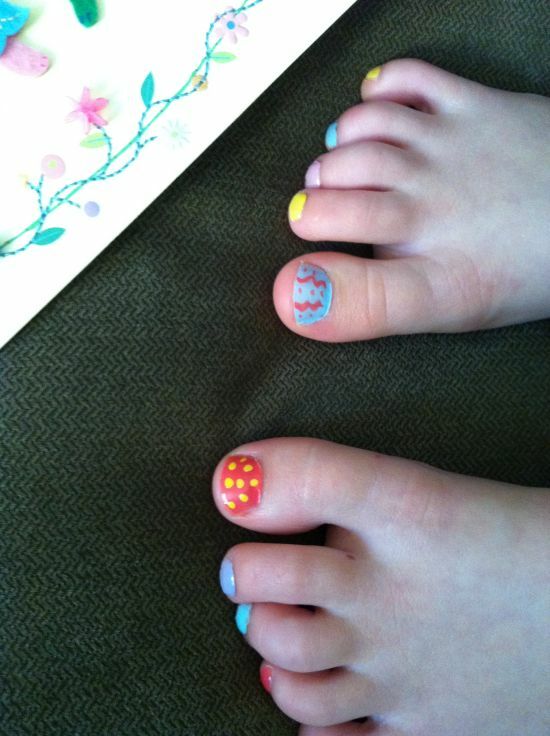 Polka dotted toe nail art are a hot favorite this Easter as these look funky and are loved by younger women. 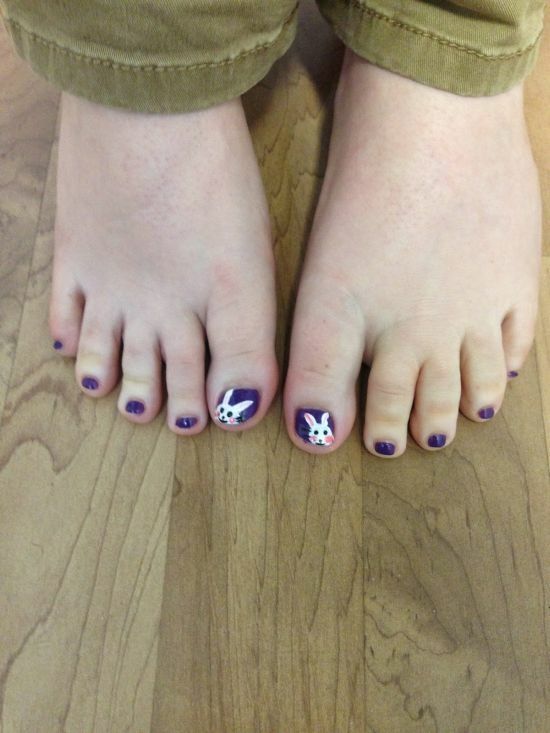 One can adorn her Easter nails with cute looking bunny rabbits in the same way as can be seen below. 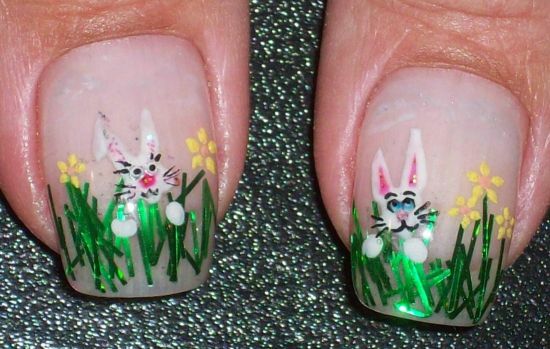 Bunny Easter nail designs are very common to be seen decorated on women’s nails, but seem to be in demand all through the year as these not merely bring the inner most naughtiness of a girl but are also associated with fertility and prosperity. Go through this post as I am sure most of you pretty ladies want to look special on this festive day. Go pamper yourselves with these cool Easter nail art that are easy to be done at home using nail polishes and stuff that are readily available everywhere. Try these unique Easter nails and see the magic happening!